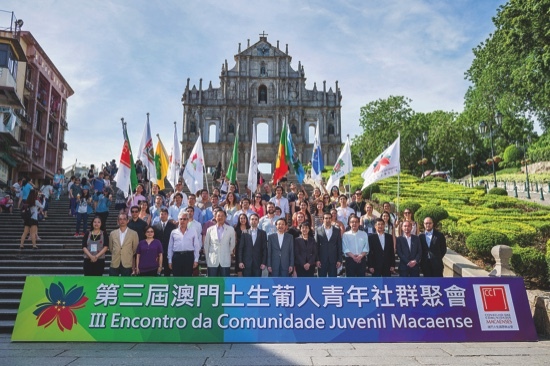 More than a dozen government dignitaries raised a toast to 41 overseas-based Macanese youths last night at a welcome dinner held at the JW Marriott Macau, following the opening ceremony of the Macanese Community Youth Meeting. Today the youths will visit the Chinese city of Zhongshan to learn more about their Chinese roots. Some of the participants told the Times that they are eager to start the excursion, as a majority of them have never set foot in mainland China. “It’s good to see the history and to learn more about that area, because I have never been there before and I have never been told much,” said Jacky Chavez from Australia. Lavon Lee and Michael Antonio, both from Canada, also said that they are excited to take a look at how the mainland has developed over the years. “I’m very excited to go there to experience the culture there,” exclaimed Antonio.